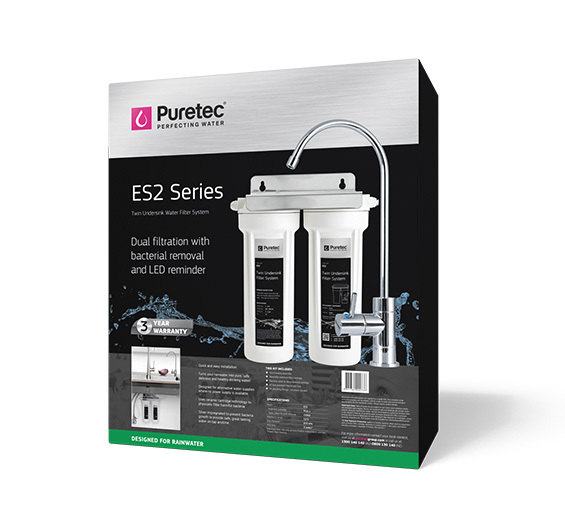 The Puretec ES2 Series is designed for alternative water supplies. It turns your rain or bore water into safe, delicious, great tasting water for cooking and drinking. 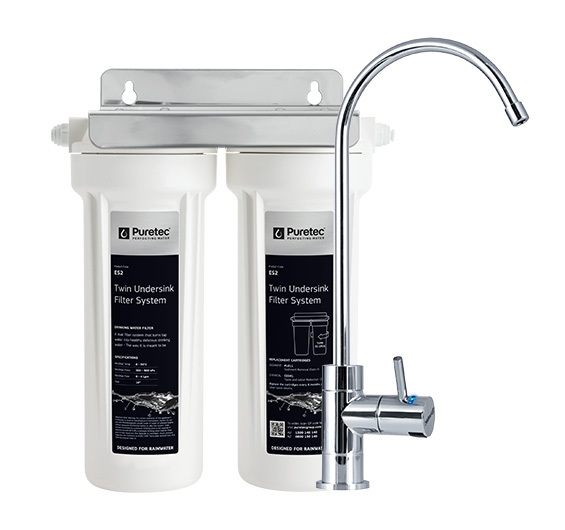 It uses ceramic cartridge technology to physically filter harmful bacteria (E. Coli, Shigella, Salmonella, Klebsiella, Cholera), lead, chlorine taste & odour, turbidity and sediment down to 0.2 um. The cartridge is silver impregnated to prevent bacterial growth. 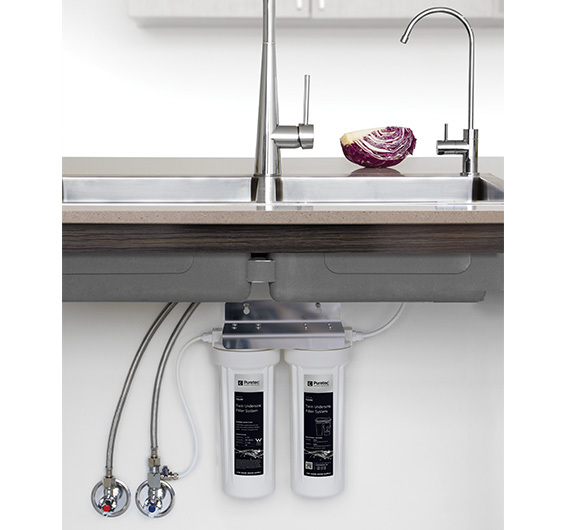 This economical filter system will easily fit under your existing kitchen bench. All plumbing fittings are included for easy installation. It also comes with an LED faucet with filter change reminder light that tells you exactly when to replace your cartridges. • Turns your rainwater into pure, safe, delicious and healthy drinking water! • Designed for alternative water supplies where no power supply is available. • Uses ceramic cartridge technology to physically filter harmful bacteria. • Silver impregnated to prevent bacteria growth to provide safe, great tasting water on tap anytime.